U.S. Imperialism Out of Africa! 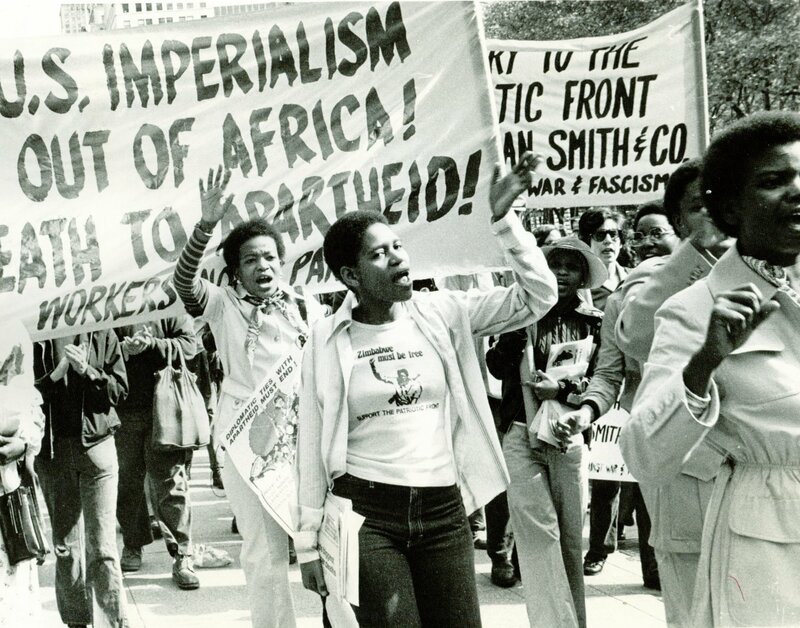 Protest in New York against Rhodesian Prime Minister Ian Smith during his October 1978 visit to the U.S. Seen in this photograph are banners produced by the Workers World Party and Youth Against War and Fascism (YAWF). Used by permission of Paddy Colligan.